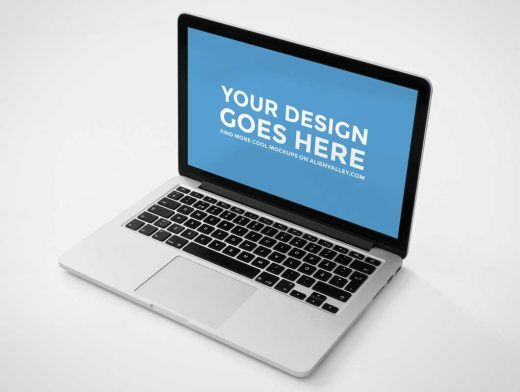 A simple Macbook Pro mockup that you can use to display your own work. The screen can be edited to show your designs via smart objects. For some additional realism I also added a subtle glare overlay on the screen. To edit the file simply open the PSD in Photoshop, double click on the smart object icon, paste your design and then save and return to the main file.